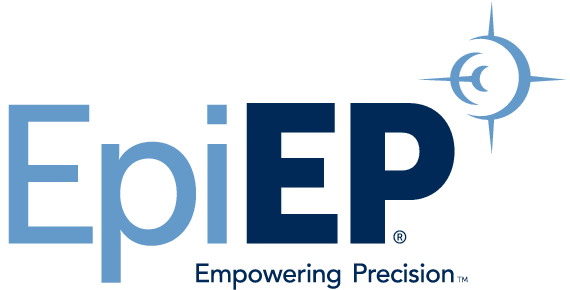 New Haven, Conn., May 4, 2015 – EpiEP Inc. (EpiEP), a medical device company that has developed an FDA-cleared and CE-marked epicardial access system, today announced the completion of the Post-Market Clinical Follow-up (PMCF) study for the EpiEP EpiAccess™ System (“EASe”), conducted at four sites in Europe. The EpiAccess™ system provides real-time information on the location of the needle tip during complex epicardial procedures. Data from the study will be presented at the Heart Rhythm Society annual meeting in Boston, Mass., by Luigi Di Biase MD at the moderated poster session called Catheter Ablation: New approaches and new tools on Friday, May 15, 2015, at 3:25 p.m. in the EpiCenter Theater 2, Exhibit Hall. The EpiAccess™ system obtained FDA 510(k) clearance on October 29, 2014 (K142245) and has CE Mark approval for sale and distribution in Europe. The system includes a single-use with an incorporated pressure sensor, and a pressure monitor that uses proprietary algorithms to analyze pressure frequency data. The information is presented in an intuitive and easy to understand display, which instantly informs physicians of needle tip location which is designed to reduce the risk of procedure complications and to simplify access to the pericardial cavity.